Spectacular, very unusual solitary plant for dry zones. 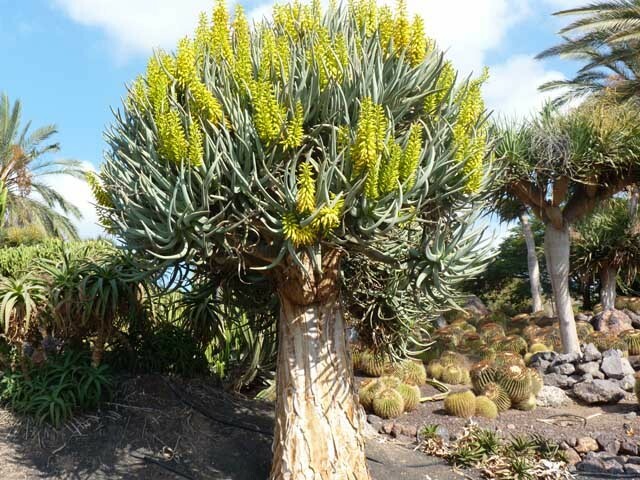 This Aloe attains real arboreal size with age, reminding a canarian dragon-tree. It grows wild in Namibia and South Africa. Spectacular, very unusual solitary plant for dry zones. It needs a well-drained soil and has to be watered with care in order to prevent rotting. In autumn it produces masses of yellow flowers.